Join us at the 2019 Family Day! MELBOURNE’s annual Family Day has been confirmed for 2019, with the exciting event set to be held at Yarra Park on Sunday, March 10. The day will begin at 10.30am, with every Melbourne AFL and AFLW player set to attend and run activities on the day. Fans will also have the chance to get an autograph and photo with their favourite players. Prizes and giveaways will be up for grabs, while a range of food and beverages will also be available for purchase. 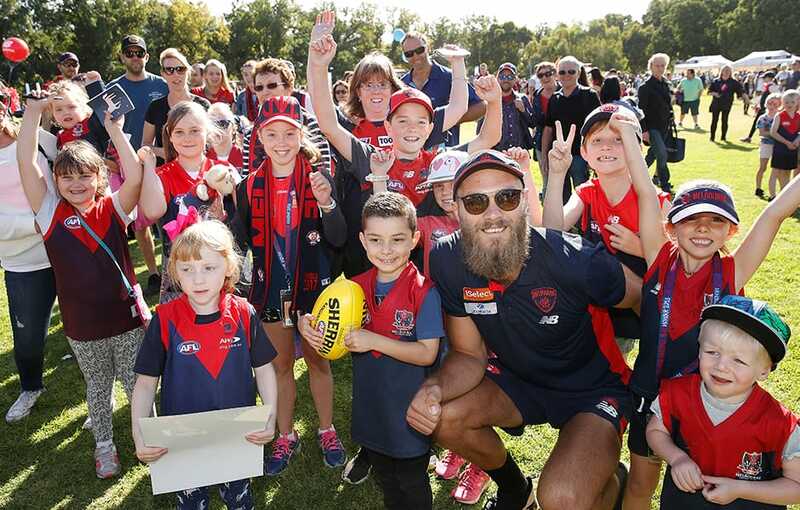 This family friendly event takes place after Melbourne faces Brisbane at Casey Fields in its final JLT match on the preceding Saturday, while the Demons AFLW side also plays on the Saturday night, coming up against the Western Bulldogs at Marvel Stadium. ADD THE FAMILY DAY TO YOUR CALENDAR. Zurich’s limited edition Collector Cups are set to be the hottest property in Melbourne this footy season. Zurich will be giving these reusable cups away to supporters for FREE at nominated matches throughout the season. There are six different Melbourne Football Club players to collect. Jack Viney is featured on the first cup, which will be available for collection exclusively at Family Day this Sunday. Make sure you head to the Zurich marquee to collect your cup.